Whether you’re starting your own RIA or upgrading your marketing after years of neglect, our complete marketing package includes everything you need to take your marketing from 0 to 60. Our process is designed to deliver a complete, proven marketing strategy with a minimum investment of your time. Our logo design process is special because we provide you with at least 12 versions of a new logo to choose from. When you select your favorite, you’ll have the chance to modify the final colors and text. Then we’ll deliver your final logo files and you retain 100% ownership. Get started now on your logo for $499 today! We recommend building your website on WordPress, the largest website software system in the world. This allows you to own your website and only pay a low monthly fee for hosting. Our WordPress sites are mobile-responsive and include calls to action so prospects can easily take the next step with you. What does the text on your home page say? If you’re like most advisors, you probably don’t remember! But the copy on your website is critical for capturing the fleeting attention of prospects. There are only a handful of firms that offer website copywriting for financial advisors. That’s because it’s difficult to create a personal and powerful message that’s also search engine optimization (SEO) and compliance-friendly. But most financial advisors really need help writing their websites. The hardest challenge in marketing for financial advisors is getting new leads into the pipeline that you don’t already know. It’s not easy, but we’ve cracked the code on getting the attention of new qualified prospects. It starts with narrowing your niche and creating valuable content to showcase how you help. Then we use LinkedIn and Facebook to target people within your niche and make a big impression. Our monthly marketing package is our most popular package because it allows advisors to take marketing off their plate and delegate to an experienced professional. We create original, custom content on a biweekly basis and deploy it to your blog, by email, and via social media. The result is your own cohesive marketing plan that helps prospects find you when they need you most and keeps you top of mind with referral sources. Did you know that videos get twice as many views as the same content in a text-only format? 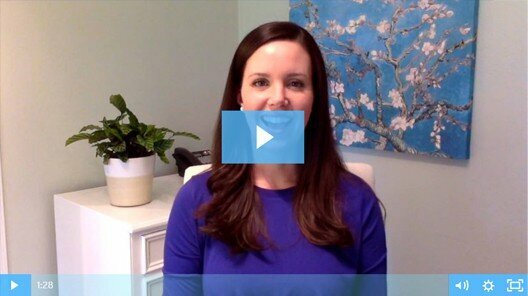 Video is a great way to communicate your value and tell your story. However, videos can be challenging to create. It’s important to first start with a video script for your project. This way, you can send the script through compliance ahead of time. On the day of the shoot, a script will help make the process easy and efficient. I create social media profiles for advisors that incorporate marketing best practices, search engine optimization, and compliance regulations. While most SEO firms charge high monthly fees and require at least a one-year commitment, our one-time SEO Package is designed to deliver maximum impact by completing the most important SEO tasks for your business. Our package includes setting up and optimizing your Google My Business page, up to 30 local citations, creating your meta tags, descriptions, schema markup, Google Search Console, and more! The result is a higher ranking on Google and more traffic to your site each month.